If you have been following my blog or Facebook fan page for the last couple of years you know that my favorite shoe designer is Jimmy Choo. Picking out my wedding shoes wasn’t as easy as I thought it would be. With that said I tried on every single pair of Jimmy Choo’s that would be considered “bridal” then I would get distracted with all the other designers like Valentino (remember the Pink super stiletto ones I posted on FB? OBSESSED) I had to keep telling myself FOCUS, FOCUS, FOCUS. I went from trying on the Jimmy Choo platforms in gold and then in silver glitter to peep toe glitter then back to the platforms. I was making my MOH crazy with how indecisive I was or maybe I just wanted to feed my Jimmy Choo obsession and this was my excuse? 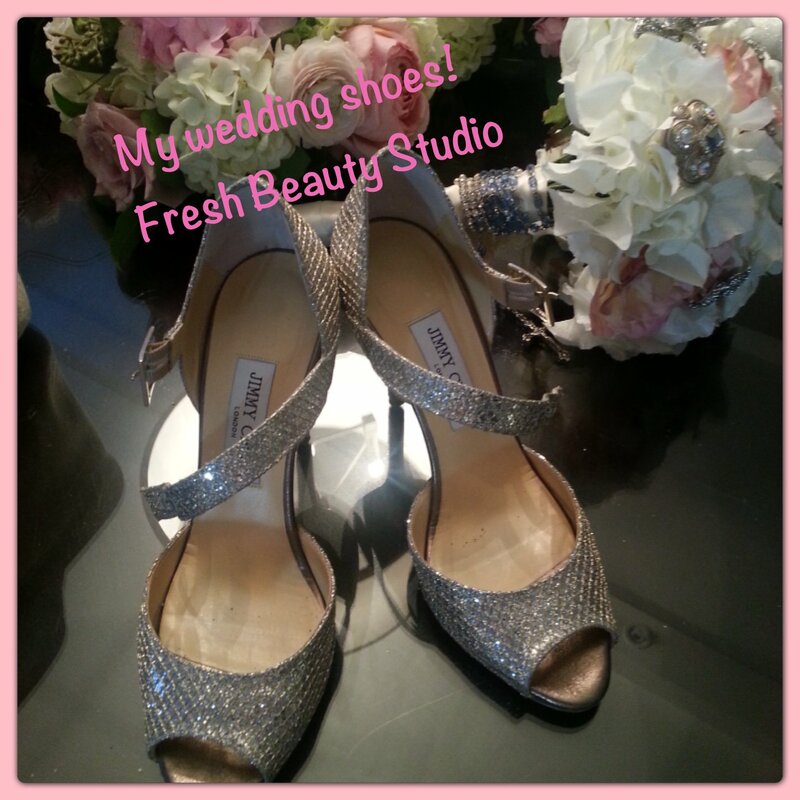 I found my ultimate perfect most irresistible Jimmy Choo bridal shoe called Champagne Glitter “Lace”. I knew this would be super comfortable since I have the same shoe in patent pink and have danced the night away with no problem. The best part of buying these shoes was that I would actually wear them again! It’s a great investment to your shoe collection!